GRAPHICS Francis Bacon 12.09.08 - 07.10.08 Francis Bacon Graphics showcased over 25 notable graphic works by internationally acclaimed artist Francis Bacon. 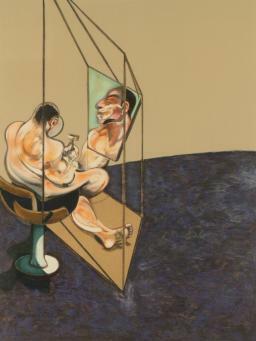 Covering key themes such his obsession with the human form and the isolation of the individual through to his revealing self-portraits and portraits of friends, the show included signed limited edition lithographs, etchings and aquatints from the Gallery's own collection. 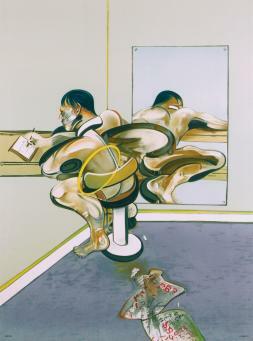 Coinciding with Tate Britain's major retrospective of Bacon's work, which runs from 11 September 2008 - 4 January 2009, Francis Bacon Graphics at Andipa Gallery offered an extended insight into the breadth of Bacon's output. The exhibition provided a rare opportunity to view one of the largest groupings of Bacon's prints, to experience the fields of intense colour that he worked with and the intonations of sexuality, lust and conflict that exude from each work. 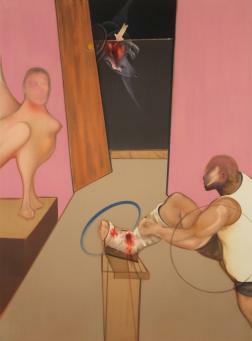 Bringing together significant works from throughout the artist's career, the exhibition centered on Bacon's radical approach to the human form and his unique staging of the figure in rich pools of colour. 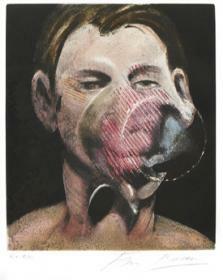 Many of Bacon's most powerful representations carry emotive and personal sentiment. 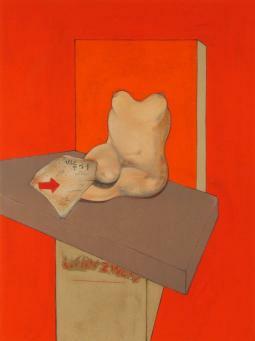 One notable example is In Memory of George Dyer, 1975; a memorial to his friend and companion who committed suicide in the hotel room that they were sharing on the rue des Saints-Peres, barely thirty-six hours before the opening of Bacon's major retrospective at the Grand Palais in Paris. Using his own expressive language and style, Bacon often interpreted famous works by celebrated masters. His admiration for Ingres, for example, can be found in such works as Oedipus and the Sphinx after Ingres, 1983 - 84. 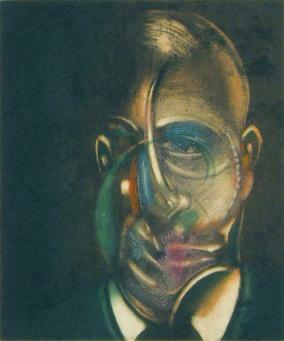 The portraits of Bacon further revealed the people he both admired and to whom he was deeply attached; from the powerful depiction of Michael Leiris, a key figure in the intellectual life of Paris and a friend to Bacon, in Portrait of Michel Leiris, 1976 - 78, to Portrait of John Edwards, 1987, portraying his closest friend whom he eventually made heir to his paintings and property.